Queen Gunilla was the second wife of King Johan III of Sweden and the third Swedish queen who was a member of the aristocracy during the Vasa period, following Margareta Leijonhufvud and Katarina Stenbock. Queen Gunilla acted as a mediator between the king and the Swedish aristocracy. Queen Gunilla was the daughter of Johan Axelsson Bielke, councillor of the realm and governor, and Margareta Posse. She lost her parents at an early age and was about ten years old when she was sent to the Swedish court to be raised there. That was how King Johan III became aware of her. In 1584, barely a year after the death of his wife Katarina Jagellonica had left him a widower, the 47-year-old king began to consider remarrying. This time he wanted to marry someone he knew. His choice settled on the 16-year-old Queen Gunilla, who was the same age as the king’s daughter, Anna Vasa. Several of Johan III’s siblings protested against the marriage, believing that the king should marry into royalty in order to distance himself from the aristocracy. Johan III was enraged by their reaction. Duke Karl, who himself had married the German princess Maria of the Palatinate, did not even attend the wedding, which did nothing to improve the brothers’ already tense relationship. With the help of the council of the realm, King Johan had successfully reduced his brother Karl’s independence as a duke. The wedding was also intended to further strengthen the ties between the king and the aristocratic members of the council, just as Gustav Vasa’s marriages to aristocratic women had done before. Johan believed that the marriage would be “an honour for the Swedish nobility”. He also hoped that his new wife would be “humble, obedient and of service” to him once she had been made queen. 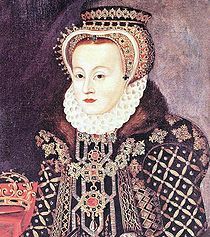 The couple married on 21 February 1585 in Västerås cathedral and the next day Queen Gunilla was crowned queen of Sweden. As queen Queen Gunilla quickly took on the role of mediator between the king and the aristocracy. It was expected of a woman in her position that she should serve as an intermediary between family, subjects and the king. Queen Gunilla also became a mediator in the dispute between Johan III and the council of the realm, which arose after the meeting at Reval in 1589. Johan wanted his son Sigismund to abdicate the Polish crown and return to Sweden, which the council impeded. The queen’s surviving correspondence reveals that she was approached by her relatives during the dispute, requesting that she speak to the king. Queen Gunilla, who was a confirmed Lutheran, appears to have influenced her husband to favour the Protestant faith, and even took the side of those priests who were critical of the king’s religious policies. She also received many petitions on various topics and strikingly often, Johan III made reference to the fact that it was thanks to the queen’s intercessions that he would grant requests. During the last years of Johan’s reign many letters were also written in Queen Gunilla’s name. At the time she made substantial loans to the Swedish crown. She was also active in charitable activities and amongst other things, established a children’s home in Uppsala. Duke Karl was convinced that Queen Gunilla had a certain influence on the king, and that she used her position in order to push certain issues and promote her relatives’ interests. This emerges, for example, in his rhymed chronicle. Queen Gunilla became a widow at the age of 24 and her difficulties with Duke Karl continued. While waiting for Sigismund to return to Sweden, Karl attempted to limit her authority. She was accused of having delayed news of Johan III’s death in order to hide the inheritance. Queen Gunilla successfully obtained Sigismund’s confirmation of her jointure and other gifts that she had received from Johan III. Despite this she had to keep fighting Duke Karl for both her own and her son’s rights. According to the king’s will Queen Gunilla was awarded responsibility of bringing up their son, Johan, born in 1589. Queen Gunilla died in June 1597 aged only 29 after succumbing to an intense fever. She is buried in Uppsala cathedral. Gunilla, drottning , www.skbl.se/sv/artikel/GunillaBielke, Svenskt kvinnobiografiskt lexikon (article by Karin Tegenborg Falkdalen), retrieved 2019-04-23.